Every year the guys from the Snowsports Industries of Great Britain (SIGB) put on an event called Slide On Snow. 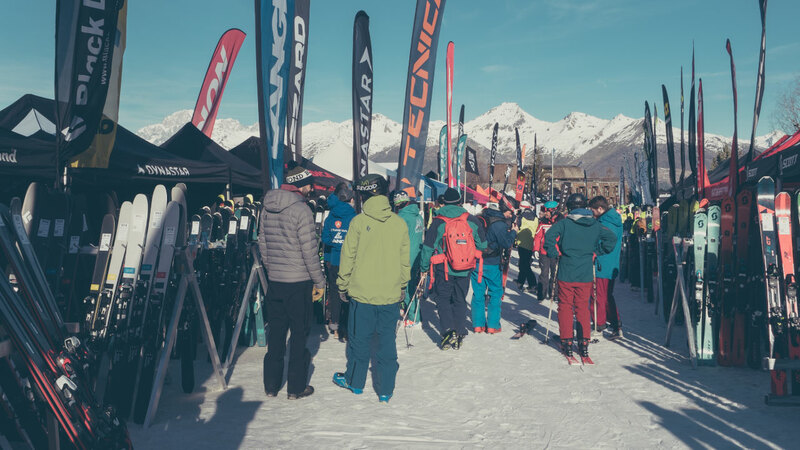 For one week the slopes of Pila are taken over while retailers, media and brands to get together and put all the latest skis and snowboards to the test in the beautiful surroundings of the Italian Alps! SIGB test are full of the latest kit! It’s a great event with a really good vibe! The brands all set up in the test area – A make shift avenue of tents that is buzzing all day – and retailers come down and take out the kit they’re interested in for the next season. For me, it’s like being a kid in a candy store! Where ever you look there’s awesome stuff to play with and experts to help get you perfectly set up ready to put in a few laps. The guys at Salomon setting up some new QST's for a test run. 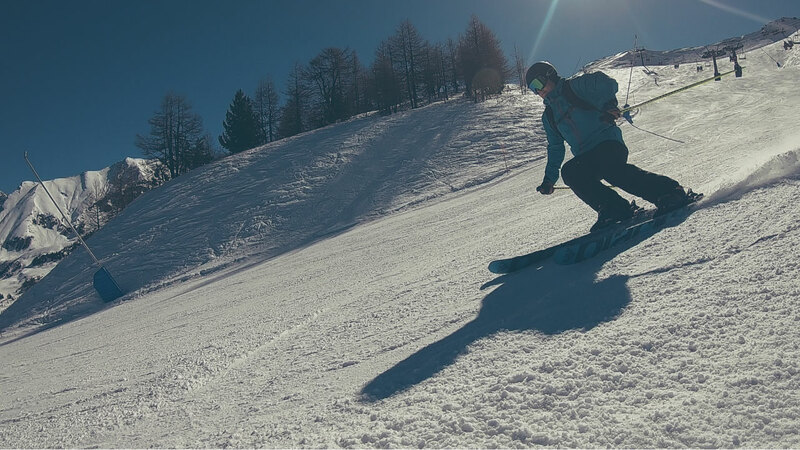 Apart from the amazing chance to rip around the mountain on next seasons skis and boards, there are several reasons that Slide On Snow is important to us. Firstly, it’s a chance to select what stock we’re going to keep next season. New versions and new technology constantly change the way skis ride and perform. 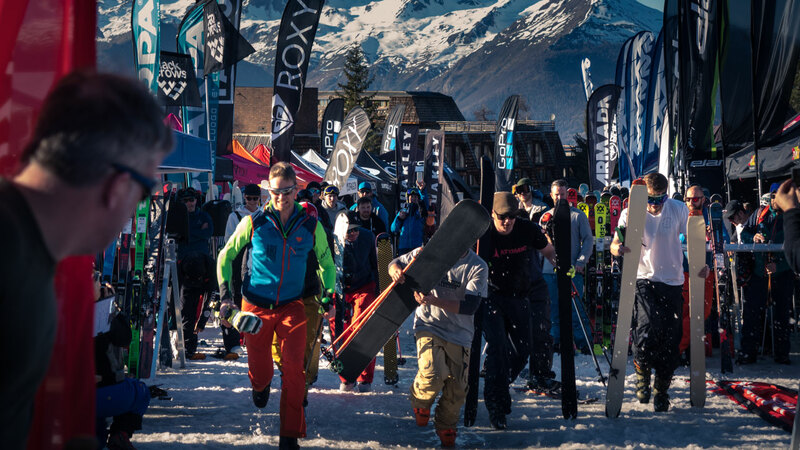 What could have been your favourite ski last year could behave totally differently with a new core or new laminates, so to get to know the skis you really have to ride them. Snowtrax Test Team discussing product. Secondly, we pride ourselves on being able to give customers fantastic first hand knowledge of the skis and snowboards we sell. There’s only one way to get that. You have to put them on and ride them! This is where our mantra of "We Test, We Know" comes from. 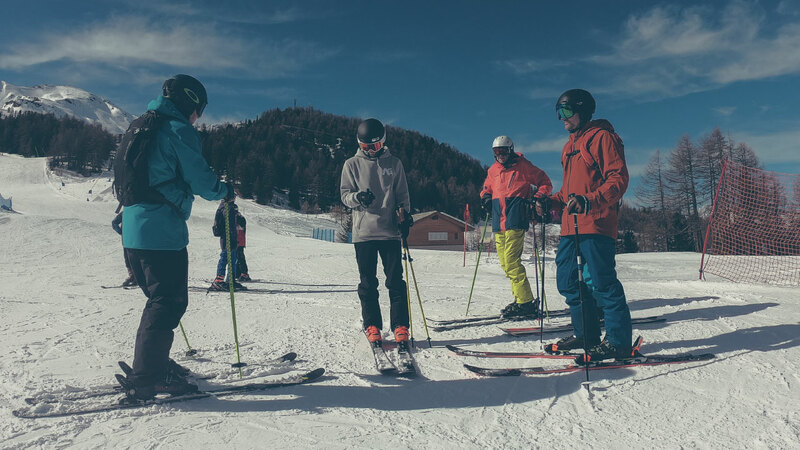 Without first hand experience of the product you can't know the characteristics well enough to help a customer pick a ski that's perfectly suited to them, and more importantly, to help a customer spend wisely and not buy something that won't give them enjoyment every time they clip in. With all the knowledge we gain when we're out testing we're able to make video reviews to help customers buying online, too. Nick putting some new Black Crows skis through their paces. Each participant has a ID card and an App on their phone. 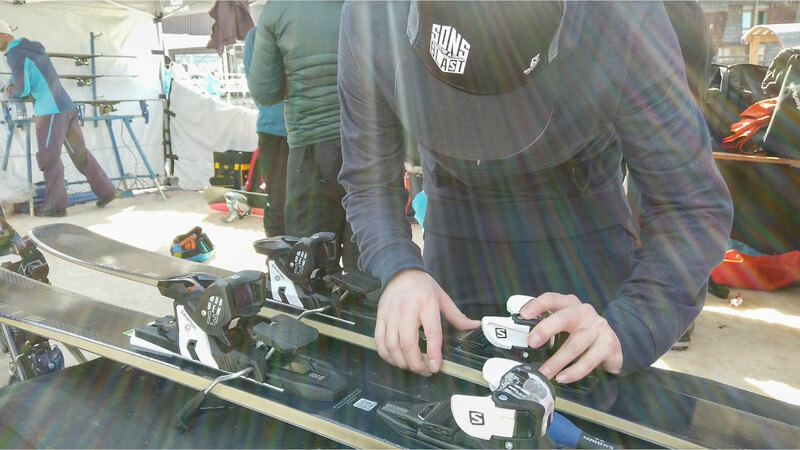 When taking out a ski or snowboard you log it in the app and rate it against various criteria such as, stability at speed, response, pop, power transfer, carving feel, off piste and on piste performance, etc. Plus there is a “tester notes” section for each item that allows us to review them and then go back later and compare notes. From about 9am onwards we're out testing, filming, and reviewing the equipment that we plan on stocking next season. When the lifts close we head back to the test site to enjoy a chat with the brand reps about how the equipment performed. Everything revolves around the testing of new equipment but there's definitely a fun atmosphere here. One evening the brands get the chance to show of some of their up hill equipment with a ski-mo race around the site which usually results in some kind of carnage and excellent photos. SIGB Ski-Mo Race - Le Mans style start...With a Mono-board. By the end of the week our legs are burnt out and we've ridden pretty much everything we can think of. It's been fun, but super informative. There's always some surprises in the new kit. Maybe a ski we hadn't looked at turns out to be a hidden gem, or one that promised great things is not as far up the field as you'd expect. It all gets filtered down into how we're approaching next seasons kit and how we help our customers pick the best ski for them. Knowing what's in a ski is important, but knowing how it rides is what sets our advice apart. A new short from The North Face & Victor de Le Rue.